Amazon has come a long way since 1998 when it was simply an online book store. It has continued to innovate and challenge competitors to evolve and adapt or simply be left behind. Amazon Prime membership has 85 million members and e-commerce sales are more than triple compared to other competitors online. With the recent $13.7 billion acquisition of Whole Foods and approval for pharmacy licenses could change the future of healthcare. Amazon has the data, infrastructure and innovation to change the pharmacy industry and possibly the eye care industry as well. Here are some ways that Amazon could alter the industry. Amazon has the platform to develop a telemedicine app to connect customers to pharmacists and doctors. Browsing Amazon’s website and don’t know which contact lens solutions or artificial tears to pick? Simply click on the feature to talk to a virtual provider to help with your selection via the telemedicine app. The health care apps can be used to book doctor’s appointments and even pay for your visit. The app would be customer- centric and convenient and could synchronize with the Warby Parker’s refraction app to enable patients to get glasses. Consider the information that the app could provide to patients with pre-exiting conditions and direct them to local Amazon location or other company partners. The virtual doctor could review a health care product or condition that a patient is searching on the website to finalize the sale or prescribe a medication and be delivered by Amazon Prime Now service by an Uber driver. Imagine using Echo to direct you to a virtual doctor that can answer your questions on over the counter products or prescribe a treatment plan without leaving the house? The system could potentially connect the patient via telemedicine to treat the patient and could pick up the medication at a Whole Foods pharmacy. Echo would be able to provide treatment plans with over the counter products. A treatment plan could possibly come up on the amazon app and with 1 click put in the product in the cart or either delivered within 2 days to your home or picked up at a Whole Foods kiosk. Not only that, but it would offer great personalization. Amazon is known to produce options based on an individual shopper’s purchase history. Amazon consistently sends emails asking about reviews on their products which would only help them grow their online eye care industry. When pairing this with a patient’s medical history it might become easier for them to refer a patient more detailed eye-exams in-office if they deem them necessary to partnered brick and mortar locations. Big companies and small businesses could use Echo as a personal assistant to streamline business processes and answer frequently asked questions. For example, it can provide an overview of daily schedule, outstanding balances as well as HR information to let corporate know when a Doctor takes a day off or is out sick and relate the info to daily sales goals. Sales data could be given by Alexa. Data on per hour production can be evaluated and compared to others in the region and industry to set strategic plans and company standards to improve sales and efficiency. It can also order new supplies and report inventory levels. “Vuzix Corp. will show off a pair of smart glasses that can talk to Amazon.com Inc.’s voice-activated digital assistant and display information to the wearer’s field of view”. This technology can help patients that need low vision devices. It can superimpose text messages and display information that the patient needs to see. 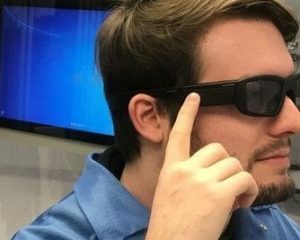 Vuzix Blade glasses Source: Vuzix Corp.
Amazon has the potential and resources to build its own electronic medical records system, and they might be working on this as we speak. The medical records could be accessed through the Amazon app. If successful, patients would want to have their records from their doctors’ offices into one system where any health care provider could download pertinent medical history and other information. Amazon would have access to the electronic records to be able to target patients for other health care services or products. Amazon web services can pull data from current electronic medical records. 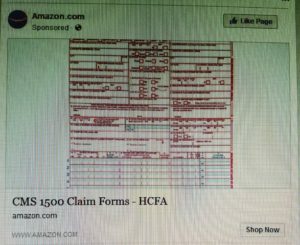 If Amazon has access to medical records they can run algorithms to identify similarities and target potential patients with a Doctor onsite or video conference. Consider how this service could transform your business with sophisticated data mining abilities. It can help strengthen the net profit, optical strategy and understand more about the patient demographics of that office. By having this data, it can provide data that researchers can use to find treatments for diseases or prevalence of getting a disease. It can audit your patient records to detect potential fraud. This feature could be utilized by insurance companies to detect fraud and retrieve unnecessary fees from providers and hospitals. Amazon Business started in 2015 and has become a 1-billion-dollar business. Through Amazon Business Eye Care professionals can purchase products at an affordable price and skip many vendors. Small equipment for the office through Amazon Business and even selection of frames at deep discounts for your optical. Need Tropicamide a new near point card or new CMS 1500 forms? Order it through Amazon Business for Eye Care Professionals. Use their service and become an affiliate by referring patient to get artificial tears and other over the counter products for eye care. For business owners to get products quickly another brick and mortar purchase might be in the future for Amazon, possibly BJs Wholesale Club to be able to compete with Walmart at the store level and provide convenience to the business owner if a product is needed immediately and use the warehouses as storage for inventory. It would also add Gas Stations to its portfolio that requires a brick and mortar location. According to Business Insider , there as been speculation that Amazon is interested in acquiring Target . How would Amazon enter the Eye Care Industry? Amazon could possibly purchase Warby Parker or 1800 Contacts. They both developed a strong online brands with great income potential and have the database that is required to incorporate Amazon’s innovative technology. Warby Parker has a strong millennial following and growing. They both would have the infrastructure that Amazon would need to successfully enter the industry. 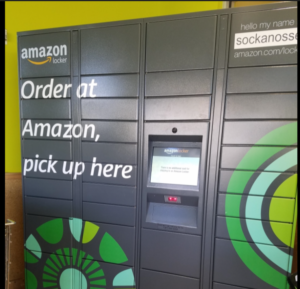 Amazon’s presence into the eye care industry would likely increase the speed of online optical delivery or it can have an integrated system that combines online with the Whole Foods store. Even without a purchase, Amazon has the ability to open optical locations in Whole Foods and expand services online. http://corporateoptometry.com/wp-content/uploads/2017/12/amazon-eyecare-e1517328369797.png 337 600 Corporate Optometry http://corporateoptometry.com/wp-content/uploads/2017/01/Logo-CO4.jpg Corporate Optometry2018-01-30 08:53:032018-03-12 12:43:57"Alexa, How can Amazon Disrupt the Eye Care Industry?" Starting your own business in corporate optometry and getting your own sublease is something many strive for. We all want to work hard and get to the point where that pays off, but are we aware of what it takes to being an entrepreneur and over come the obstacles? 1. Your first strategy will be wrong. It will be tough to get started. You may find that you have issues with credentialing and insurance when you first start, and these may complex issues to navigate. You’ll want to work with customers to get their feedback and adjust your idea. Its tough to get started. It can take up to six months just to get started because you’ll need to set up business information and finding a lawyer and an accountant are extremely important. Aside from this you’ll need to do personal research. You won’t start off knowing what the norms are in the area for days, hours, and rent to set up your initial business information. While the sublease agreement mentions these, you don’t want to be stuck with something that doesn’t make you any money. You will need work hard and it might take three to five years to grow a business. This is because it might take time to get patients that value and trust you. Likewise, there are a lot of managed care plans for which the pay is low. At first there will be a lot of that, but you must learn to overcome these obstacles. There’s rainbow at the end of the rainy day. 2. If you can’t self motivate your business will struggle. The long road to finish eight years of schooling over. Not everyone will understand what it is that you set out to do, but you must keep working and make your own success. You must be open to new experiences and learning. Make a commitment to personal excellence. When you make a mistake, you should be ready to learn from it so that you can use that knowledge to grow your business and entrepreneur spirit. Keep your head up and move forward with your short-term goals and this will help you to reach your long-term goals. Don’t let anyone tell you what to do or how to do it. It’s your responsibility to do the research, acknowledge good advice and move forward with your business. You must reach out and take your success, you can’t let it come to you. Having confidence in your ideas and goals is the first step. 3. You will be underpaid for a while. The beginning will always be rough, and it will take a long time before you’re able to see any earnings from your business. Managed Care plans don’t pay as much as other insurances or even if a patient were to pay out of pocket. You may also not start out with as many patients as you need to make as much as you would like. Use this information to frame the next step in your business whether this mean adding more business hours, advertising to more of your area, taking customer feedback, and many other strategies. This is the time when you have to stay strong and make smart decisions so that moving forward you can begin to see a monetary growth. 4. Things take time, a lot of it. It’s going to take forever for deals to go through. Don’t be discouraged. There’s a saying that Rome wasn’t built in a day and neither will your business. You really must dedicate a lot of time and effort into building a successful business just as you dedicated so much time and money into your career. There will be times when you try to make a deal and it takes a while to hear back from them. Make sure to keep active and always check back in with people. Keep your options open. 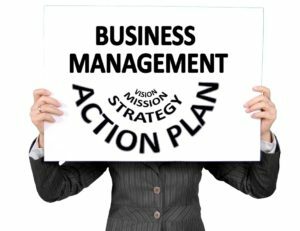 Always have a Plan A, B, and C so that you aren’t discouraged or halted of a deal takes a while or it doesn’t go through at all. Most of all you need to learn to be patient but never idle. 5. Titles mean nothing. I’ve written another more extensive article on this before, but the gist of it is that your title doesn’t mean as much as you might think in business. When you’re first starting a business, you have a small task force where everyone does everything. It’s a new office and everyone in the optical must put in the work. You may be the leader but it takes everyone as a collaborative effort to make a business really stand out and move forward. You must put your name out there and get respect in the community and from your co workers. Just because you have a degree and a title doesn’t mean that people are going to hand you their money, trust or respect based on that credential. It’s hard work! You need to put yourself out there and get viewing power in the area. Optical managers are there to help you as well, and they will try to help you to grow and get the word out. But you need to be able to put in that effort as well. There is no way that you can just sit in the office and see any success. You need to forget about your title, get up, and get the patients in there and step outside your comfort zone help the optical staff. 6. Challenge your Comfort Zone. There should never be a deal that is the end all for your business. You should always keep trying to climb the ladders and make your business the best that it can possibly be. This doesn’t mean that you have to expand or become world renown, but there is always something you can do to improve your business and yourself. Office efficiencies are important. You want to have at least 3 or 4 eye exams an hour. There is always a need to perfect your clinical skills, minimize your Rx checks or fine tune your communication skills. Are you capable of communicating with patients of many different backgrounds in some way? It’s so important to let your patients know what you need them to know in a way that they understand. Within 30 seconds of meeting someone, understanding their personality, and how to speak with them in the most effective way is not something that you can do without experience or practice. Yet it’s these skills that will help build your practice. You always want to keep learning more and keep your business up to date. Insurance, policies and technology often change, and it’s up to you to make sure you’re on the cutting edge so that the patient base you have built continues to support and trust you. Corporate Optometry offices are small and some are outdated, remodeling your office can help with the image of your office. We need to put our best foot forward for business success! Changing our appearance in our offices is critical our future growth. The most compelling reason behind an office makeover is the health of your patient practice. A remodel generates profits simply through upgrade. An improvement can lead to higher gross sales and improve your practice status in the eyes of the patient. It will generate word of mouth referrals and bring in more patient flow. You will generate more money simply from perception. It is important that you take a critical look at you office appearance to determine if its promoting an image that you wish to portray. Visual merchandising can be a great way to attract patients and increase exam revenue. These simple tasks will create a welcoming environment for patients of all ages with visual merchandising. 1. Tell your Story-You are the Doctor, show your credentials! Display diplomas, certificates, licensure. Decorating your office with framed awards and other medical achievements is a powerful way for ODs to win the trust and respect of your patient. Bulletin Board of Family photos, hobbies or even thank you card or holiday card from Patients! This will create a family atmosphere in your office and possibly a conversation builder with patients in your exam chair. Being personable is important in building your practice! Use this bulletin board to make connections with patients! Satisfied patients will create loyal patients which lead to successful business! 2. Signage– Strategically placing signage in your office to promote specialty practices. Signs should be bold in color and placed at eye level. It should be an extension of your brand. Obvious location would be in your waiting room. Consider placing these signs throughout the host environment or windows facing the mall. The goal is to attract a potential patient walking by to get an eye exam. It could be as simple as ask us about color contacts or Lasik. 3. Display Ocular Disease or Eye Posters– These will make your exam room look more professional and is a great patient education tool. 4. Technology- Incorporate technology with visual merchandising. Digital marketing visuals can be a great way create a brand experience for potential patients. Using technology can attract a potential new contact lens wearer or even an impulse buyer. The strategy that is chosen to display the images or content will target the patient that you want. This strategy should be changed every 3-4 months as seasons change and as new trends in healthcare or the eyecare industry come up. E-commerce business has grown tremendously over the years and will continue to innovate and revolutionize how our patients seek knowledge, choose providers and purchase health care products. Emotional branding could be a different approach on how optometrists can compete with online retailers. It can be a way to provide the best customer service as consumer trends change and seek more of an experience than price orientated as focused on by the baby boomer generation. Understanding what might trigger a patient emotionally to buy products or seek services from your office can be a way to combat online retailers and create loyalty and retention. Tapping into the emotions of your patients from the first interaction to promote your service or products is called Emotional Branding. Your brand image is very powerful. It triggers your patients to engage with you. Once you have them engaging with you, emotional branding builds those lasting relationships that creates patient retention, loyalty and trust. Call to Action Plan on Emotional Branding. Storytelling– The patient brand experience depends on it. The way you create emotional engagement is critical to getting the results that you want whether it is making a sale, creating patient retention or building a reputation. Create a story of you! Let your patients or potential patients know who you are. A Parent, animal lover or sports fan whatever it is promote it in the office, via eblasts or social media to create a personalized approach to your brand strategy. Engage your patients and learn what has attracted them to you. Understand the lifestyle of your patients and promote products or services that your patients will benefit from. You want to know what triggers them to choose your office. Promoting yourself through storytelling is a powerful way to get patients talking about your office and referring others. Storytelling creates a brand story that educates patients, inspires them or makes them feel something. Those feelings create lastly impressions that keep people coming back and not going to your competitor. Let your patients know about your volunteer work as an optometrist, your struggles and accomplishments, provide a “human effect” that online retailers can’t compete with. Your goal is to make them feel or experience something during the interaction. Emotional Drivers– Once you have successfully promoted your brand through storytelling and understand what your patients want. You can determine which emotional drivers influence your patients. Some emotional drivers in your optometry office include being healthy, improving appearance and self confidence. Knowledgeable ODs can use these drivers to cultivate personalized approach to the treatment plan, recommendation of products and ultimately a defensive strategy to online retailers. Consistency – People don’t like change if they are comfortable and happy with your services. They are used to a certain experience and value. Develop a brand specific strategy that is inviting to your patients. Whether it be that your services are provided on a timely manner or a friendly environment for families, being consistent will differentiate your office from online retailers. The value and emotional experience that your patients feel outweighs e-commerce pricing. When returning patients ask about your vacation or children you have successfully accomplished the art of emotional branding. Stealing Credit. You’re doing hard work and you’ve come up with a wonderful idea which you either mention to or work on with your superiors or another coworker. However, this superior or coworker portrays themselves to others as having both come up with and followed through with the idea with no mention of yourself. They say the idea is theirs and you get no recognition. It’s unfortunate because you get neither the credits nor the benefits of completing the project or implementing the idea. Failing to return calls or ignoring emails. This happens quite often. In the workplace people need to work together to get jobs done. Everyone has their own plans, timelines, and deadlines to get work done. However, when someone doesn’t return your calls or emails that can set everyone behind within the workplace. At times doctors may need to request time off, changes, or approvals of some sort and when there is no word back it can ruin a schedule and even hurt the business. Intentionally ignoring emails or phone calls because of not doing what was requested is a form of workplace bullying. Flaunting status. Almost always in work you will have someone who is superior to you, however when this person exploits their status it can become an issue. They want to be a leader but instead of building up the personnel they may bring out the negatives or the instances where someone has messed up. Their thought process isn’t that mistakes are risks one takes to continue improving and learning but that they are failures. You feel that the environment is oppressing, and you cannot bring up any ideas for fear that if it doesn’t work you will be negatively impacted. Withholding information. In many instances information can be considered power. You may be surprised to find out that another department has withheld information that you may need to do well within the workplace. You may not be alerted to changes to meeting locations or times in which important information is disseminated. This can be devastating if those changes include policies within the workplace or policies needed to properly work with patients. Not having information about changes in insurances and the way they are reimbursed could delay payments even longer and result in losses for the business. Leading people on. This occurs when someone congratulates you or celebrates your accomplishments to lead you on or use you. This may even go hand in hand with stealing credit for your work or may be a tactic to make you feel as though you are doing well when you could be doing much more. They act as though you are perfect where you are and may make sarcastic commentary towards your work. This is a difficult one to catch onto as you may not be able to tell that the person is being dishonest. Cleanse your mind. Remember that this is not your fault, so you shouldn’t be blaming yourself. This may be happening which is unintentional, but if it is intentional you shouldn’t let it get to you emotionally. Take a day or two off and consider your hard work and the positives about your job. Understand that what is important is that the job gets done in the best possible way. Documentation is everything. This isn’t necessarily to show anyone, but just to have as evidence and a reminder of what things were done, when, and where. In this way you have detailed information and you know that this isn’t just something that you’re saying or trying to recall off the top of your head. You have written it down when it is still fresh in your mind. This may help you in the next step. Have a civilized talk. If your bully is stealing your credit, not returning messages, or any of the above-mentioned forms of bullying then perhaps it is time you talk to them. Be as positive as possible in mentioning what it is that they are doing and how it is negatively affecting both your ability to work and the company’s ability to thrive and move forward. Leave your job. This isn’t the first thing that you should consider especially if you love your work and you are doing well there. Try the before mentioned steps before coming to this conclusion. But there is no shame in leaving your workplace if nothing changes. You shouldn’t have to put up with any type of bullying, especially within your workplace.